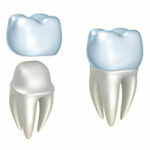 A dental crown, also called a cap, fully encapsulates a damaged tooth or a tooth that needs protection. Traditionally, crowns require two appointments: one to prep the tooth and measure for the crown and a second a few weeks later to place the crown. Now, there is a modern dental technology that can accomplish all of this in just one appointment. With CEREC same day crowns, Dr. Todd B. Barsky and the team at Aesthetic Dentistry of South Miami can restore a damaged tooth in one convenient appointment. CEREC stands for Chairside Economical Restoration of Esthetic Ceramics, or Ceramic REConstruction. This in-office system from Sirona includes a digital camera, 3D CAD software and a milling unit. With these three components, we can measure, design and build a crown at our dental office in South Miami. For your conveniently scheduled CEREC crown appointment, Dr. Barsky and his staff will first make sure you’re relaxed and comfortable. Even with the convenience of CEREC, we understand that such procedures can make some patients anxious, so please ask about our sedation dentistry options. The procedure begins with an exam of the tooth to determine if a full crown is necessary. Once determined Cerec crowns are the proper treatment, a local anesthetic will be given to numb your tooth and surrounding soft tissue. Then, Dr. Barsky will prep the tooth by removing decay and damaged tissue. With the digital camera, we take a visual impression of your tooth that will be used to create a crown that fits perfectly alongside adjacent teeth. In any case, the size of your tooth will need to be reduced, so the CEREC crown can be placed comfortably. Once this procedure is completed, we’ll take another digital impression; this will be combined with the previous impression and be used by the CEREC software system to create a virtual image of your tooth. This image includes the correct size, shape and color of your new crown. Finally, the wireless milling unit receives the image and the fabrication of your crown begins. In about 15 to 20 minutes, your same day crown is complete. If necessary, we can stain and polish the CEREC crown for a perfect finish that exactly matches the translucency of your other teeth. Dr. Barsky will carefully examine the finished crown and then test the fit. Only when he’s completely satisfied is the crown cemented into place. At the end of one appointment, you’ll have a full restored and functional tooth. We hope that you will choose to make Aesthetic Dentistry of South Miami your oral health care home thanks to our experienced staff and our dedication to the latest dental technology, including CEREC. Contact us today at (305) 749-0473 if you have any questions, or if you are ready to schedule your first appointment. Patients from all over Miami and beyond are welcome!